Posted on December 18, 2006 by Alicia Bay Laurel	in Music. 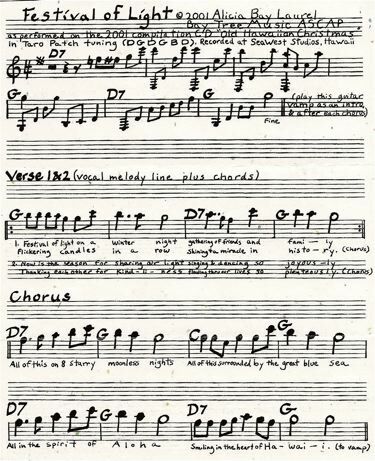 Guitar chart handlettered by Alicia Bay Laurel in 2002. You can listen to Festival of Light here. In 2009, Sable Cantus, the choir director at Temple Beth David, in Westminster (Orange County), California, found Festival of Light online while searching for a song his choir could sing for a Hawaiian-themed Hanukkah party at the temple, and contacted me via my website for permission to use it. I not only assented, but volunteered to attend and participate, since I was living in Los Angeles at the time, about an hour’s drive away on the 405 freeway. Sable made sheet music of his choral arrangement of the song, which I have as a pdf document. Please let me know if you would like a copy and I’ll email it to you. Temple Beth David made the feminist in me sing. The rabbi and the cantorial soloist are women – gorgeous, intelligent, talented women. 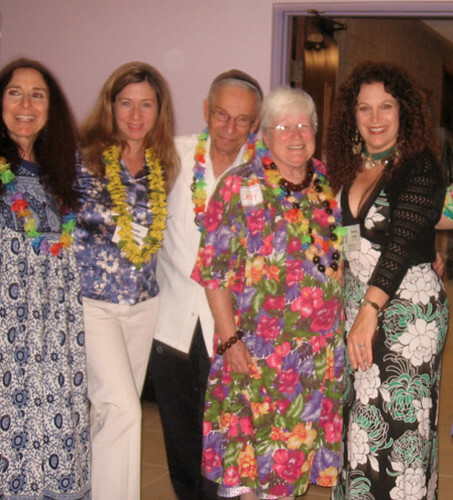 Here’s a photo of me at the party, sporting a blue and white mu’umu’u (my best approximation of a Hawaiian Hanukkah gown), next to Rabbi Nancy Myers. In the center are two people whose names I don’t know, and on the right is Cantorial Soloist Nancy Linder. And, hooray, below is a REVIEW of Festival of Light, by Jeanne Cooper, published in SF Gate, the online edition of the San Francisco Chronicle, on December 24, 2009. 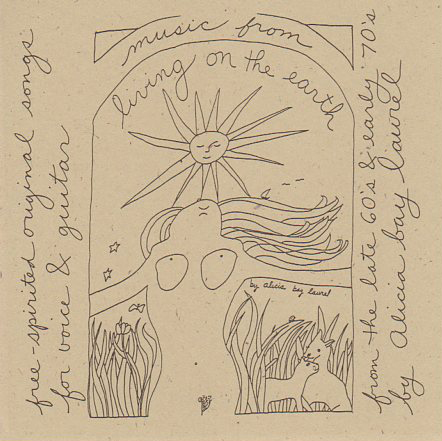 Festival of Light is sweet and sincere rather than humorous, a Hawaiian slack-key-guitar-inspired folk song combining Hawaiian elements (aloha, ocean) with Hannukah elements (the eight nights surrounding the new moon preceeding the winter solstice, family gathering, candles of menorah). I performed two vocal tracks and two guitar tracks (one Hawaiian slack key, one in standard tuning). Rick Asher Keefer, a producer-recording engineer whose Hoku award winning Hawaiian CDs include those by reknowned Hawaiian artists Israel Kamakawiwo’ole, Brother Noland, and Tony Conjugacion, created Old Hawaiian Christmas, a compilation holiday CD, in 2001, and asked me to write and perform (probably the first ever) Hawaiian Hannukah song. The CD (and this song) continues to get airplay in Hawaii every December to this day. Rick engineered and helped me produce my first two CDs (Music from Living on the Earth and Living in Hawaii Style) at his studio, Seawest, near Pahoa, Hawaii, in 2000 and 2001. He and his wife Donna Keefer both perished from cancer, he in December 2013, and she in April 2015. They are sorely missed by a large musical community, not only in Hawaii, but in Japan, in Seattle (where Rick produced albums by the all-woman band, Heart), and elsewhere.